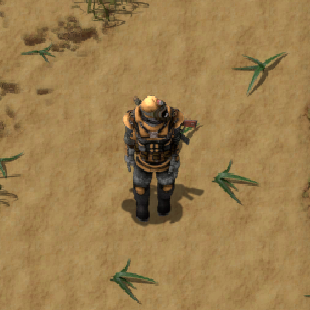 Power armor provides yet another increase in inventory and defense over Modular armor, in addition to a larger 7×7 grid for equipment modules. 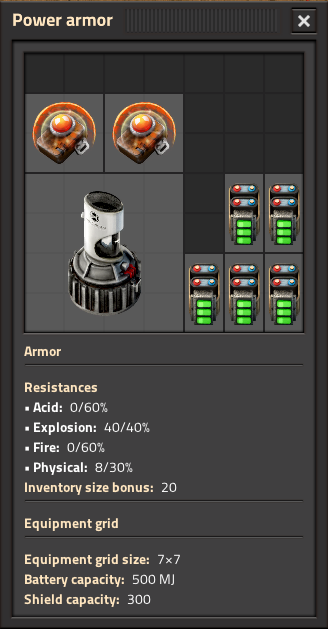 Access the equipment grid by right-clicking on the armor. Armors have inventory size bonuses. Can be swapped with other power armors. Power armors now generate and consume 100 times more power.